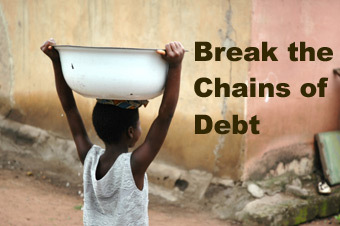 One of the cornerstones of the Week of Global Action against Debt and International Financial Institutions (IFIs) on October 11-17, 2010 is the demand for the immediate cancellation of illegitimate debts across the globe - Africa, Asia, Latin America and the Caribbean, Europe and North America. At least 297 organizations from 60 countries will participate and will strongly raise issues around illegitimate debt cases in the week-long activity. Among the examples of illegitimate debt relief cases is the Zhong Xing Telecomunication Equipment Corporation-National Broadband Network (ZTE-NBN) deal between the Governments of the Philippines and the Peoples Republic of China. The USD$ 329 million ZTE-NBN contract would have led to a new case of illegitimate debt. Philippine debt campaigners, legislators, and the protesting public, successfully forced the Arroyo administration to cancel the contract and help the country get out of debt.